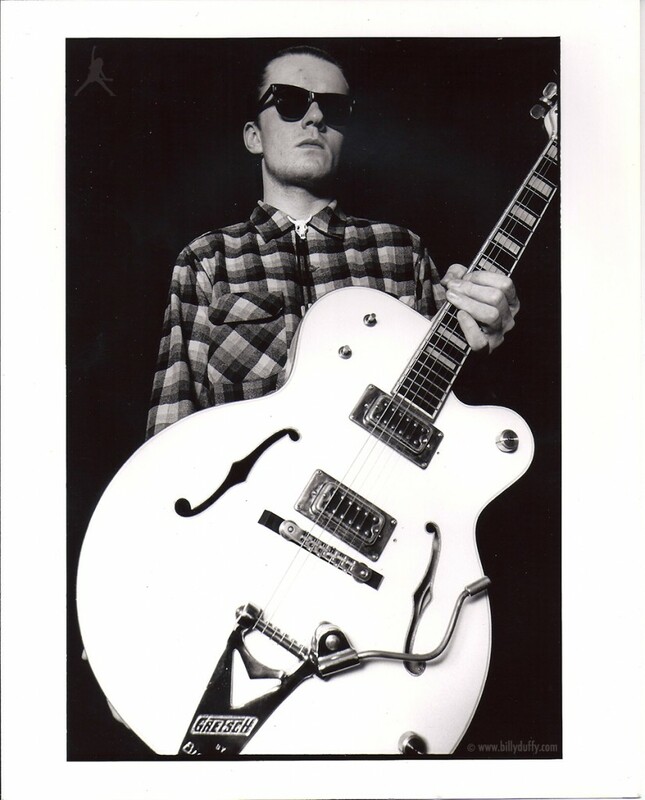 "Solo ‘Death Cult’ press photo by Bleddyn Butcher with my Gretsch White Falcon that became known as the ‘Sanctuary’ Falcon a couple of years later. I’ve got the check shirt and bootlace tie on as there was a big Rockabilly thing going on at the time in London and there was the crossover with the Psychobilly movement and I played into that. I’d got the greased back hair as I didn’t really want the flat top I'd had in Theatre of Hate. From Death Cult into early Cult I was still trying to distance myself from Theatre of Hate visually even though that was a great look"